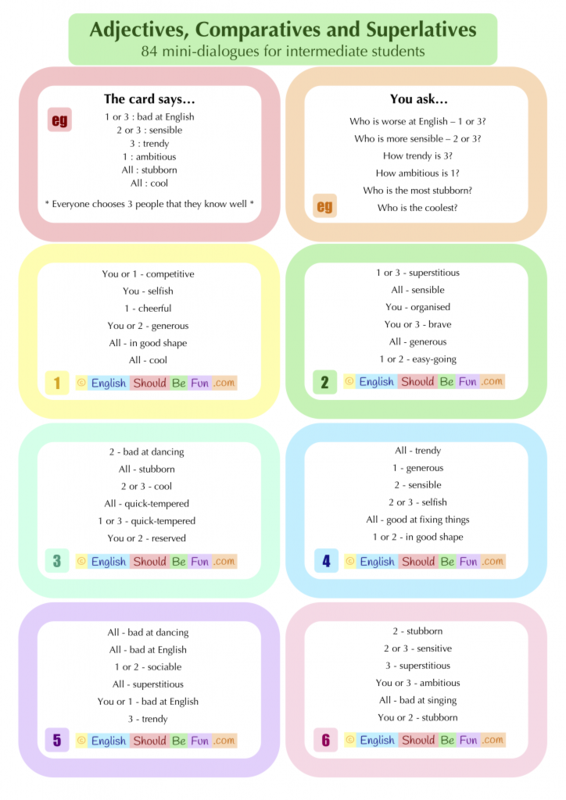 – Practice grading adjectives – How tidy are you? 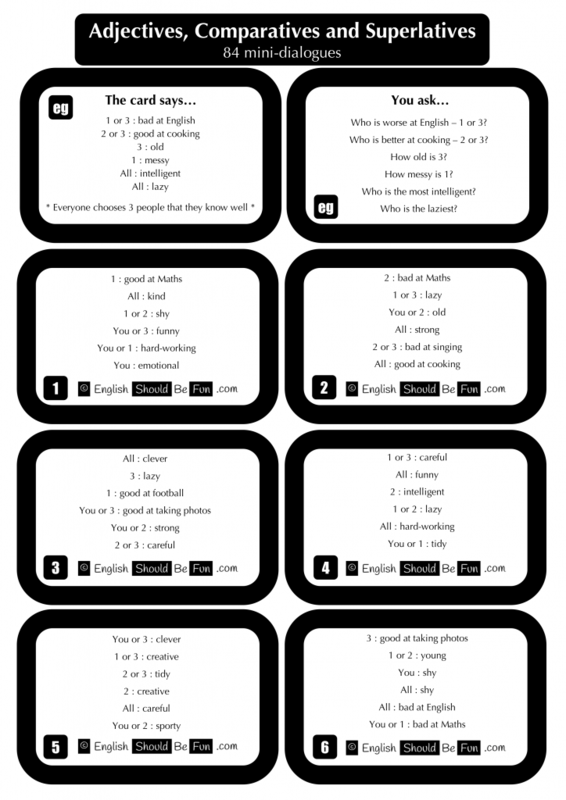 – Practice comparatives – Who is tidier – you or your brother? 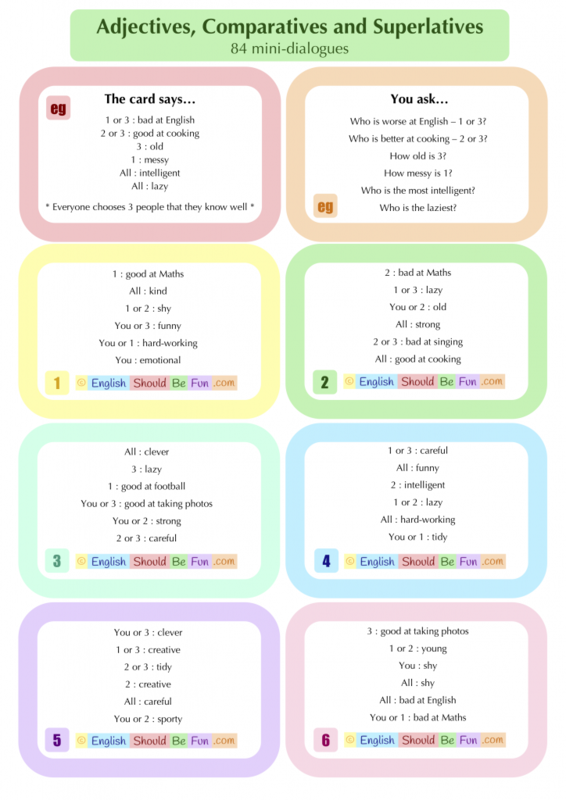 – Practice superlatives – Who is the tidiest person in your family? 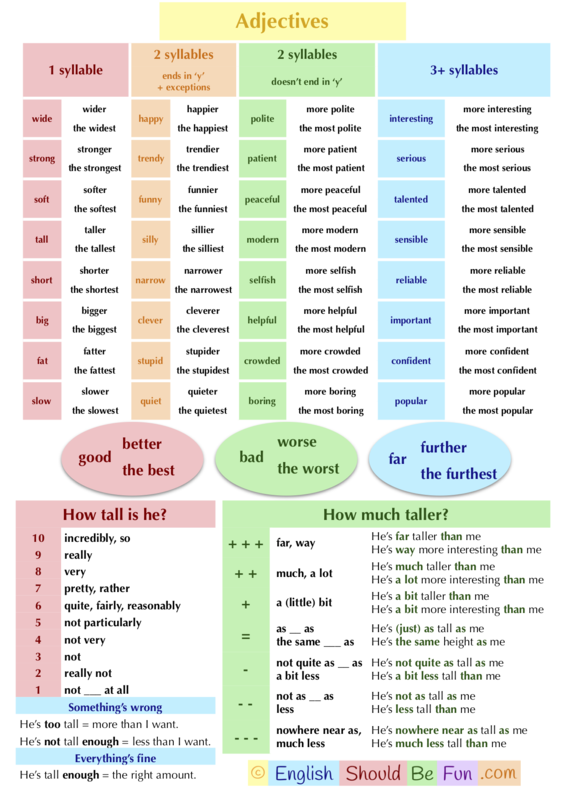 Do the task in pairs to practice comparatives – My hair is longer than yours. 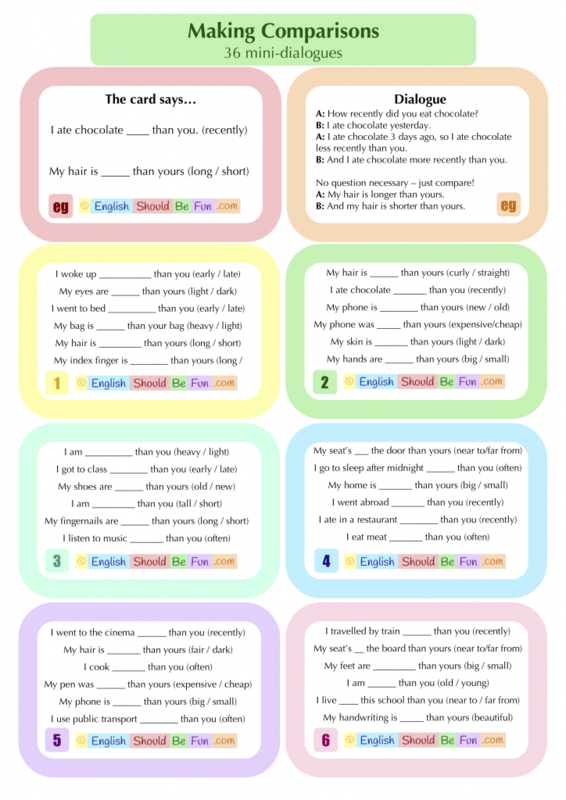 Do the task in groups of 3 or more to practice superlatives – My hair is the longest. 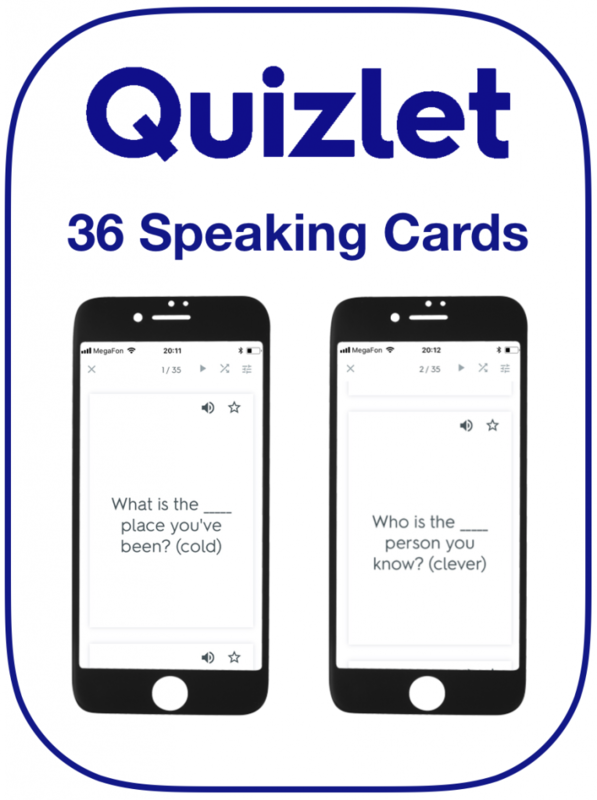 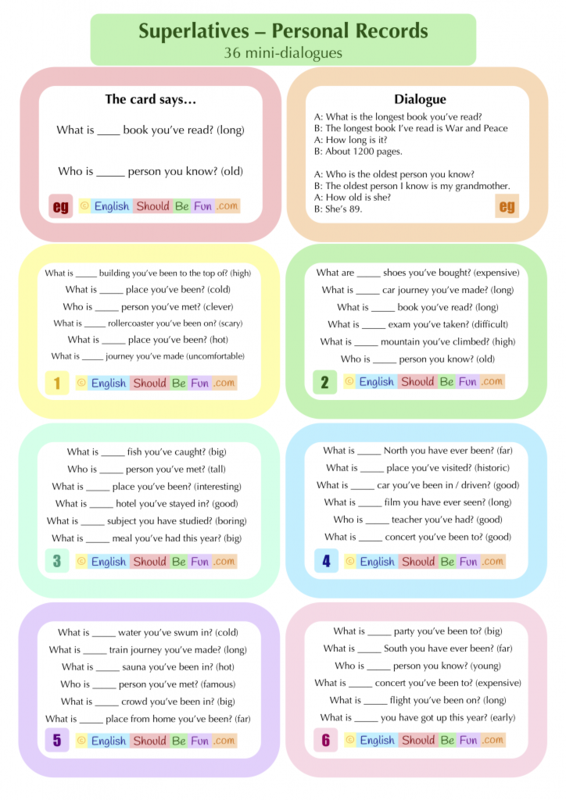 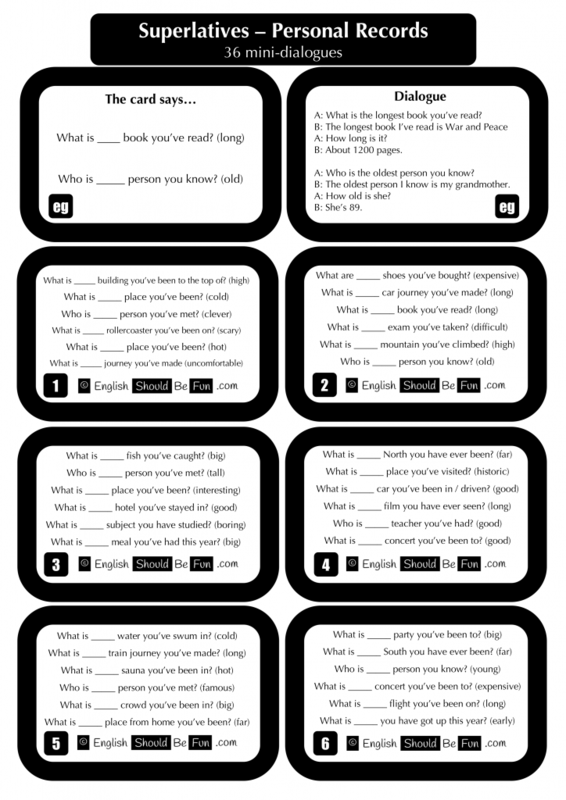 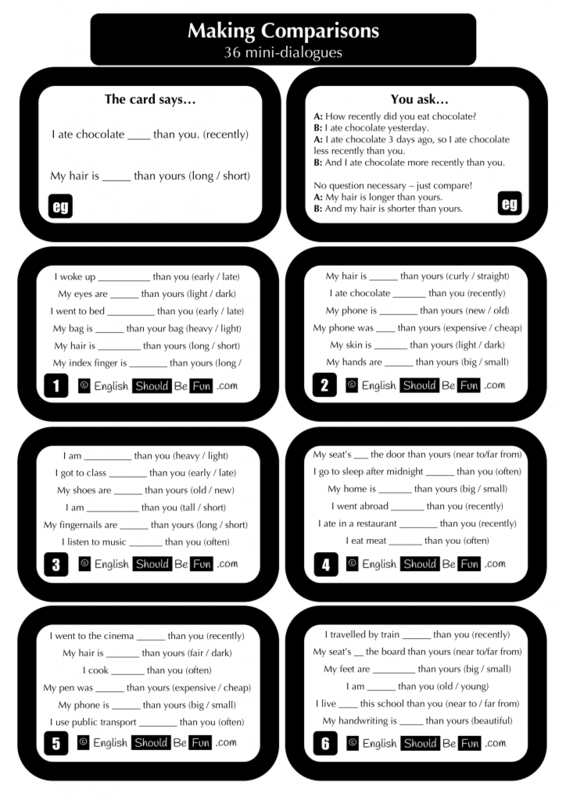 36 mini-dialogues to practice superlatives and present perfect.